1.1.1 Pisa Airport is also a Base for Ryanair so there are a lot of routes from United Kingdom and the north of Europe. Pisa Airport is also a Base for Ryanair so there are a lot of routes from United Kingdom and the north of Europe. The Cinque Terre villages are well connected by rail by local trains from La Spezia with a good frequency. Also, route from Pisa to La Spezia are ensures from the same company with a good numbers of trains. All trains are by the train government company Trenitalia and it’s possible to book tickets online by their website. From Pisa to Cinque Terre: Take Highway A12 from Pisa Centro or Pisa Nord and go in direction of Genova. Exit to La Spezia (tools are 7,4 euro approx) and take A15 in direction of La Spezia. Highway will finish and you will go ahead until arrive in via Giosuè Carducci. You will pass through 5 traffic lights and turn left at last one to reach Viale Italia, the “marine way” which will pass beside the marine. Then follow the signs for Cinque Terre. After tunnel you will be inside the National Park of Cinque Terre so you need just to turn in the village you want (we advise manarola because is the unique with a medium parking). 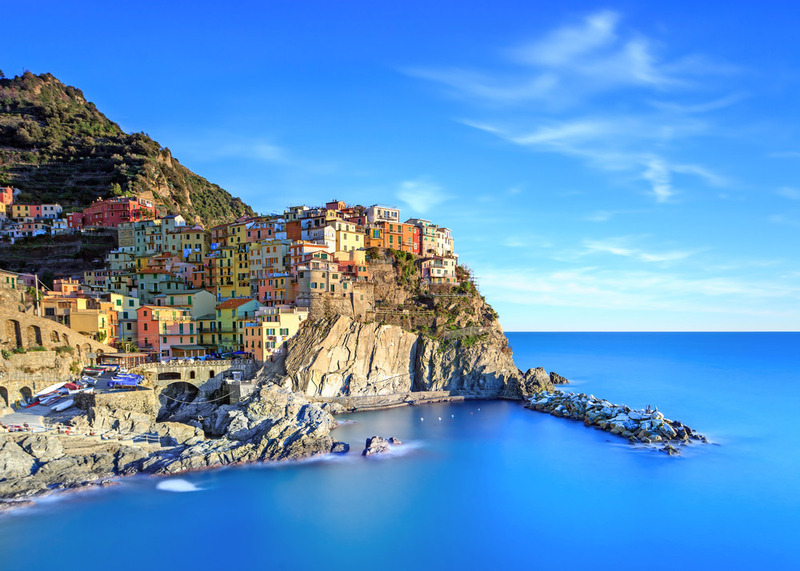 It takes approximately 25-30 minutes from La Spezia to drive to Riomaggiore or Manarola.